Even if you don’t live in an area that has vultures, you probably know it’s not a good sign when they show up. They eat dead animals and will often follow creatures on the verge of death awaiting their next meal. 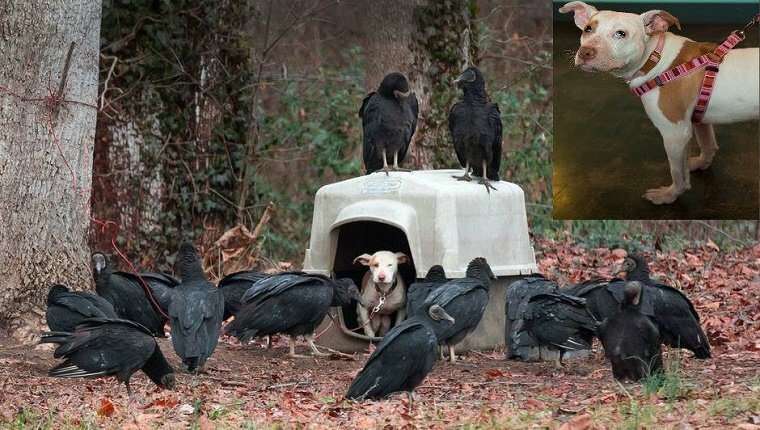 So when residents of Greensboro, North Carolina saw a Pit Bull puppy tied to a tree, huddled in her crate as vultures surrounded her, they called Guilford County Animal Control to come in and get the scared dog out of there. The owners of the dog told animal control that the vultures had been out there for almost a whole week. They also said they would come by to reclaim the dog, but they never did. And that’s a good thing, as no dog deserves to live with such neglectful, uncaring owners. The dog was renamed Lilo and was pulled from the shelter by Merit Pit Bull Foundation, which is also a good thing as Guilford doesn’t adopt out Pit Bulls. They either go to a rescue or they are euthanized. 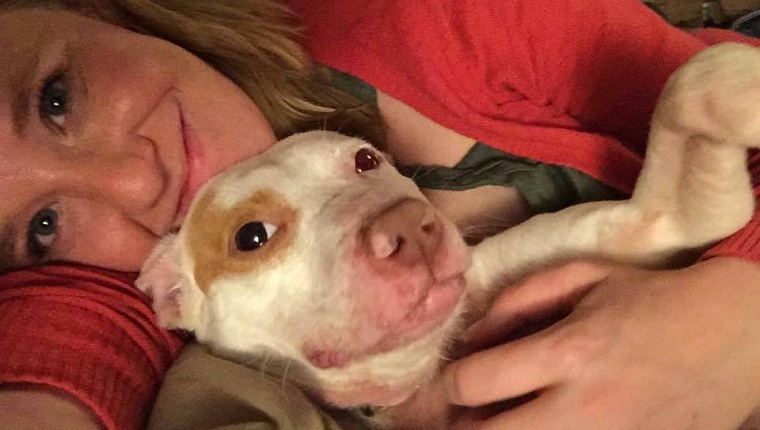 Lilo escaped death twice and found a loving foster home where she learned how to play with toys, interacted with other dogs, and began to heal from her skin conditions and health issues. She was an absolute sweetheart and loved people, even after all she’d been through. She was adopted to a forever home shortly after. Are you glad to see Lilo’s life turned around? Would you call animal control if you saw a dog in trouble? Let us know in the comments below.